In the history of extreme music there was always place for revolutionaries. Godgory is a band who decided to take metal to a totally new level, adapting the classic death and black metal sound into a completely new and original mixture. During their career the group released four full-length albums, with each marking another step in their musical evolution. 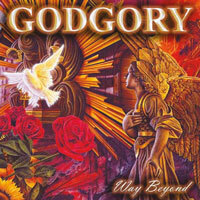 ?Way Beyond?, Godgory?s fourth and final work, is still considered as one of their finest offerings. This exclusive re-release brings back a truly exceptional metal album, dedicated to those who seek something different in the realm of heavy music?